I started this blog motivated by #AprilBlogaDay. 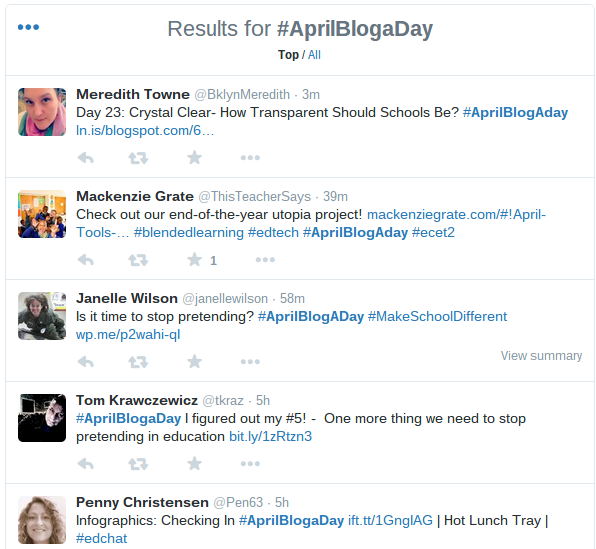 Educators were encouraged to blog every day in April. It gave me the push I needed, and if I end the month with 10 or so entries and a few readers, I'm thrilled with the results. Today, instead of all the talk about me, me, and me, I thought it would be a nice idea to shout out some of the blogs I've enjoyed from other participants. A screenshot from a hashtag search on Twitter. 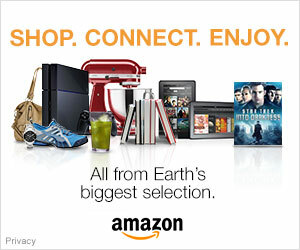 Find some good reading here. Full disclosure: I only read a handful of entries from a few blogs that popped up tonight when I searched the hashtag. I haven't read it all but these are some blogs, posts, and writers I've enjoyed so far. 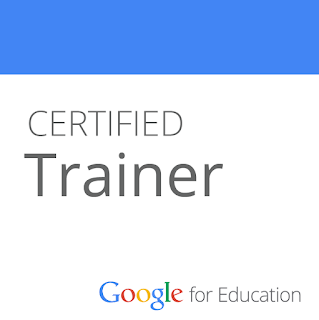 I'm also adding in some blog/Twitter reccs from my #PLN. Dani and I were working on our presentation on Backchanneling in Secondary Edu for Ednado yesterday. We wanted to show how her students used a collaborative Google Doc to take class notes during a lesson. Draftback was the perfect too for this--it is fantastic. 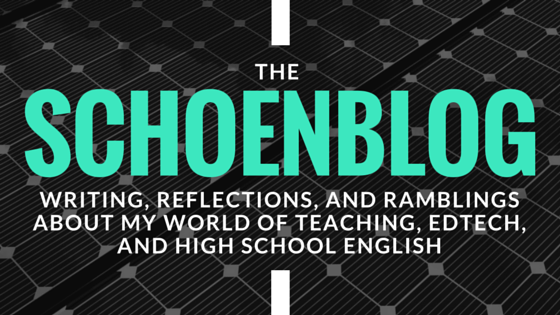 When finishing this post up, I clicked her blog again for the title and saw a wonderful post about making her ELA classroom fun. She poses important questions about creating experiences and having fun in the classroom. These ideas jumped out at me more than anything. This year, I've really tried to focus on students as creators and producers. In my lessons, I always ask what we can do or make. The essay still matters, but I never want my students' learning to end up crumpled in the bottom of their backpacks, or maybe worse, the garbage. To create more meaningful learning experiences, my students have acted out plays, performed for each other, mastered technology, and created so much--presentations, videos, newspapers, interviews. Everything we do is shared and receives feedback. Our classroom is a public place for learning and publication. Now I want to share beyond my four walls and push them to share with the world. As usual, I didn't expect to write so much, but I'm definitely finding blogging to be cathartic after a long work day and week. Thanks, #AprilBlogaDay for helping me realize it. I'm going to be a bit briefer on the next few, but the quality is just as high. I'm enjoying posts from Lisa Berghoff, my friend AJ Bianco, and new favorite #PLN member, Mike Andriulli. All three are posting about taking risks, growing as educators, leaders, and people, and making change. I like it. Lisa's post 5 Ways to Become a Technology Risk-Taker in Your Classroom is worth a read. I appreciate her all-in attitude and love her suggestions. In From the Mind of AJ Bianco, he explores the necessity of getting outside your comfort zone as a teacher. It seems so obvious in our teaching--zone of proximal development and all that--but it's hard to make it a priority in the busy world of plan, teach, grade, meeting, reflect, meeting, repeat. I like how he reflects on his own growth and makes this purposeful change a priority. Finally, a few posts back Mike wrote about the transition toward becoming an administrator, titling the post, "My Journey Through the Dark Side." I love his honesty and passion that comes through. It's awesome to be able to know it's time to make a change and then do something about it. Lisa, AJ, and Mike all write about the need to change and grow. I'm thinking about some shifts in my own practice and growth, too. It's nice to find a #PLN and a community that I know understands and can relate. With luck and some focus, I'll do one more of these posts before the month is up. Next time, I'll really stick to #AprilBlogADay participants, but found these blogs and writers to be meaningful to me right now. As always, thanks for reading. If you liked it, comment or reach out on Twitter. If not, I'll try harder next time.